Celebrate the 32nd year of plays written by Chicago teens and experience an evening of new works exploring identity and community. Young Playwrights Festival is the only event of its kind in Chicago and is the second largest in the country. Showcasing three one-act plays, the festival includes A Green Light by Alexis Gaw, in which a teen comes out and encounters homophobia; Fragile Limbs by Anonda Tyler, which tells of a teenage boy struggling with loss; and Good Strong Coffee by Luna MacWilliams, which finds two characters juggling their own dreams and desires while trying to keep the family coffee shop afloat. 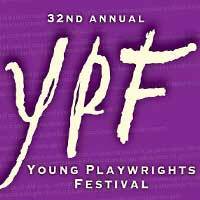 Enjoy the 32nd Young Playwrights Festival at the Pegasus Theatre at Chicago Dramatists. "...Directed by Pegasus executive producing director Ilesa Duncan (who is also now the new artistic director for Lifeline Theatre), MacWilliams' play uses a revolving ensemble of supporting players in multiple roles as patrons of the coffeeshop - from millennial hipsters Instagramming their drinks to a tattoo artist (Grace Bolander) who encourages Violeta to start performing her own writing at open mics. Bell plays Luz, a longtime employee of the shop who reminds the siblings of why their parents started it in the first place - to provide a joyous place of community." "...It's probably unfair to expect writers who haven't lived very long to present insightful narratives. It takes many years to shed the influence of books, TV shows, movies, and other media, which can't help but inform and often overwhelm a young person's early creative efforts. Watching these plays, I wasn't discouraged by what they portend for the future of Chicago theater. There was little cynicism or rote jokeyness presented-just a lack of specificity, which can only be attained with time and experience." "...Congratulations are in order to all the participating young playwrights (The festival’s yearlong, three-round competition involved the vetting of 500 scripts. ), and to the many classroom teachers who guided their students including Julie Allen, Nina Williams and Elizabeth Danesh, who helped mentor the three winners."